Books imagine new worlds and possibilities, and those that authors place in the fictional record are written into the collective imagination. This range of books encapsulates queer theory, novels, picture books, and young adult fiction. Each offers a place for LGBTQ+ characters in the collective imagination through love, analysis, adventure, heartache, and hope. 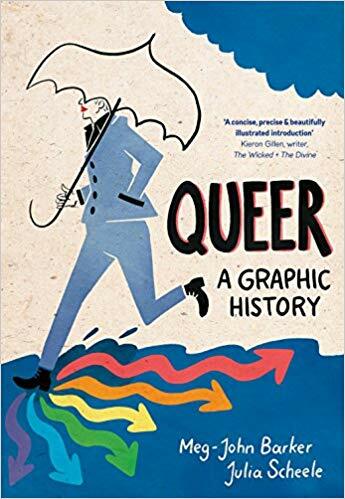 Queer: A Graphic History, by Dr. Meg John Barker and cartoonist Julia Schele: This non-fiction graphic novel takes the reader through various facets of queer theory with history, conceptual analysis, and cultural context. Queer: A Graphic History is a beautifully illustrated and digestible opportunity to engage with the political context of queer life. Mean, by Myriam Gurba: Mean is Gurba’s coming of age memoir about growing up in a small town as a mixed-race queer Chicana. She reveals the comic in the tragic while confronting sexual assault, homophobia, racism, and other forms of oppression. The Prince and the Dressmaker, by Jen Wang: This graphic novel centers on a prince (or Lady Crystallia) and Frances, a young seamstress who makes Crystallia’s magnificent gowns. Little Fish, Casey Plett: Thirty-year-old trans woman Wendy Reimer works to uncover whether her late Mennonite grandfather was also trans and reflects on her own life and experience. The book explores the trans experience in the United States through a story of family, history, and secrets. Speak No Evil, by Uzodimna Iweala: The teenage protagonist, Niru, hides his gay identity and his relationship from his conservative Nigerian parents, afraid that they won’t accept him. This novel explores the reality of being black and queer in the United States today through a complicated and heart-wrenching coming-of-age story. Meanwhile, Elsewhere: Speculative Fiction from Transgender Writers, edited by Cat Fitzpatrick and Casey Plett: Need I say more? Queer representation, let alone trans representation, in speculative fiction is sparse, which makes this anthology tremendously refreshing and important. Kids Books: Books targeted at children and young adults that introduce queer narratives and concepts encourage self-exploration, compassion, and curiosity. Here are a few vibrant stories that celebrate queerness and offer kids a perspective that goes beyond the mainstream. Julián Is A Mermaid, by Jessica Love: Inspired by women dressed as mermaids that he sees on the subway, Julián wants to look just like them. This wonderful picture book is about expression, inspiration, and acceptance. Artist, author, educator, and activist Maya Gonzalez: Maya Gonzalez is the author of several radical children’s books, including They, He, She, Me: Free to Be! and The Gender Wheel. 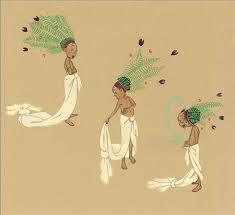 She champions creativity as a tool for empowerment and is a notable member of the Chicano Art Movement. Who Are You: The Kids Guide to Gender Identity, by Brooke Pessin-Whedbee: This book is a great tool for introducing kids to gender divergence. With bright illustrations and simple language, it encourages them to consider who they are, what they like, and the infinite possibilities of gender and expression. Posted by admin on Wednesday, March 20, 2019, at 8:51 AM. Filed under Uncategorized. Follow any responses to this post with its comments RSS feed. You can post a comment or trackback from your blog.